There are some who say that it is ill-advised to work magic at this time. I don't agree with that-- I think this is a potent time for your most powerful destructive magic. Note, destructive does not necessarily mean 'harmful'. You don't have to destroy a person; although if you were seeking to cast a curse, this would be the most opportune time for it. Magical workings conducive to the dark moon include destroying or banishing very powerful things, such as unwanted entities, addictions or serious diseases. I would not use this time lightly-- it's got a little too much 'umph' behind it to just get rid of a whiny ex who still calls you once in a while, to break your habit of having a second cup of coffee in the morning, or if you have the sniffles. But if you were dealing with, say, a stalker, a drug addiction, cancer, etc.-- something that poses a serious threat -- then this is the best timing for it. The Dark Moon is also a good time to go within for soul-searching and to perform divination. 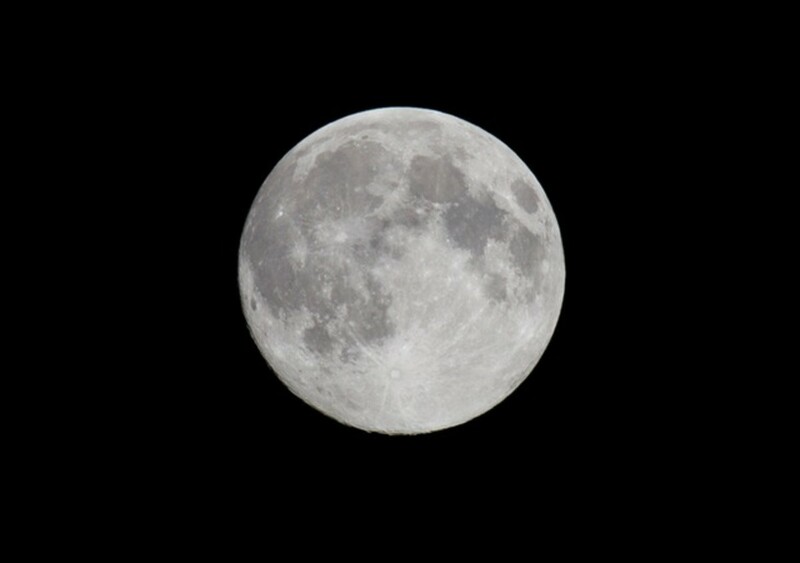 When the moon is "waxing" it appears to be growing, the period from the dark to full moon phases. It's magnetic energy assists with bringing things to out. This entire waxing period is the best time to work with constructive magic, or magic that builds things/brings things to us. The waxing crescent is the best time for magic on yourself (or on the subject) pertaining to new beginnings, such as starting a new project or making plans for the future. If you're looking to conjure energies into your life such as a more positive attitude, more patience, more understanding in your relationship, this is the perfect timing for such goals. 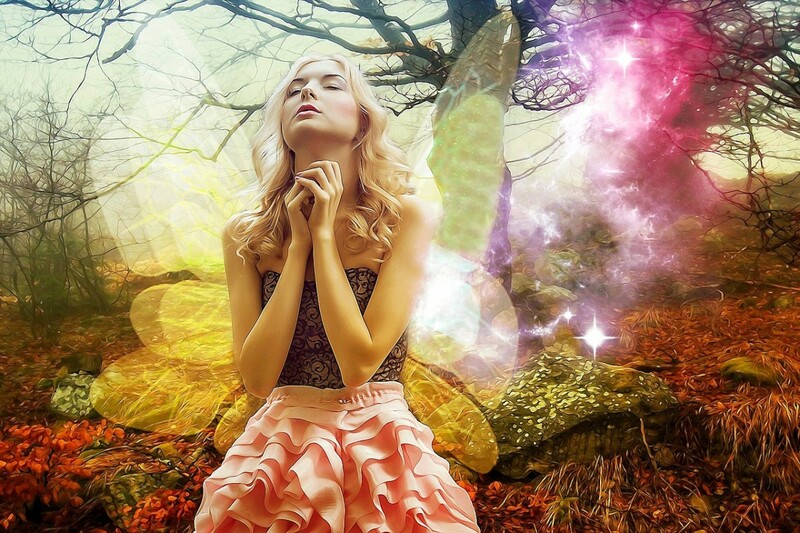 When you want to cast spells for self improvement, such as if you want to improve your psychic abilities, to absorb the information in a new class, or bring out your inner beauty, this is the time to do it. Artists or anyone artistic/creative will find this the best time to cast spells or perform meditations that will bring inspiration and passion into your work. Use this time for spells and meditations meant to attract things you want in your life, such as money, protection or success. It's also an ideal time for attracting people into your life, such as friends, lovers and clients. If you're looking for an animal companion or have one that you want to bond with, this is a good time to perform the workings. If you're looking for a lost object, or house hunting, etc., this is a good time to perform spells for success in that area to help you bring that which you most desire into manifestation. The Waxing Gibbous is still a time for constructive magic, best used towards 'reeling in' that which you've been working for already. If you started a project and it's floundering, stalled, if you're at the point when the thing you're working for is coming into the home stretch and you need some extra energy to bring it home, the Waxing Gibbous will give it a boost. This phase is a great energy for renewing your strength, will and determination to see your efforts through. If you are giving in to temptation on your diet, working hard toward something and feeling burnt out or are at the point where you're getting lazy and distracted from completing your tasks, give yourself a power boost during the Waxing Gibbous. When the Earth is caught between the moon and the sun, the result is the Full Moon bearing the most powerful energies of the lunar cycle. The Full Moon is often seen by people as 'all purpose'-- it's energies are prismatic in that it flows into all areas and needs, be it constructive or destructive. Even more so than the Dark Moon, the Full Moon is a time you would utilize for extra power when you're facing very difficult challenges. This is not just for minor mundane tasks, such as looking for the energy to reorganize your closet or trying to clear negativity out of the house after an argument; this is a time to reserve for those important things in your life that need major changes or major boosts. Magics and meditations revolving around spirituality, psychic development, dreams and divination are particularly well times for the Full Moon. After the Full Moon peaks, we enter the waning half of the lunar cycle. 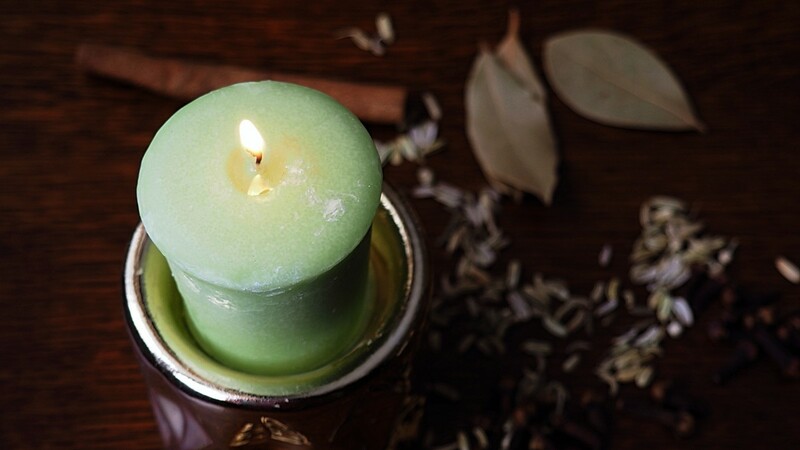 Waning energies repel rather than attract, so it's a good time to begin working on spells to get rid of things. Minor banishings can begin with the Waning Gibbous. This is a good time for general cleansings to upkeep your home, office, garden or any of your personal spaces, etc., to keep things from mounting up. This is also a good time to cleanse any personal objects you may have, such as your jewelry or magical tools. Think of this more like routine dusting-- there's no major build-up, you're just trying to keep things clear to prevent problems. If you have something for which you need closure, or if you're ready to end something in your life (such as an unfulfilling relationship or unsatisfying business venture), this is a good time for spells to bring things to their fruition. As for meditations and divination, rather than looking to the future or on to new things, it's a good time for introspection. Where have your previous attitudes and actions brought you? What things in your life have been affecting you most? Are you happy with where you are? Do you need to make any attitude or behavior adjustments? Temptations are the number one thing I like to deal with during the Third Quarter. If I'm finding that I often want to cheat on my diet, or lay in bed rather than get up and do my exercise, or watch TV and fool around on the internet rather than working, I banish that temptation with a spell. Another good use of this moon phase's energy is in aiding with transitions, whether these are transitions that you have to make or simply want to make in your life. It can help smooth out any wrinkles that might cause snags as you go on your way. if you need to clear your life and home of negativity, stress, strife, chaos, etc., now is the time to do it. The Waning Crescent, as it approaches the Dark Moon phase, it suitable for stronger banishing than at any other time of the waning moon phases. Get rid of whatever has been plaguing you-- anything you find to be seriously annoying, frustrating or concerning (save things that are serious threats for that Dark Moon). If you need things to end-- not just to finish up and bring to a close, but things that no longer serve you that you need to just stop in their tracks-- this moon phase is a good time to do it. Dropping a hopeless project, relationship, friendship, etc. is best done at this time. This is a good time to cast a spell for anything for which you wish to bring about a swift and benign ending. Some would argue that your need may not always correspond with the best moon phases timing-- and that we don't always have 3 weeks to wait for the 'ideal timing'. I would say to these people: use your imagination! For example, if you want to lose weight, look at the moon phases. If it's the Waxing Crescent, cast a spell to improve your energy or will power. If it's the Waxing Gibbous, cast it to triumph over cravings and urges to eat the wrong foods. If it's the Waning Half-Moon, cast the spell to destroy the tempting effects that bad foods hold over you. No matter what the moon phase, you can use it toward your goal. Likewise, along the same line of thinking, some will also say that certain goals are best for certain moon timings-- for example, a lot of the guides will say divorce spells are best suited for the Third Quarter or Waning Crescent. I would say: consider what you are trying to accomplish. If you are starting your divorce proceedings and want to conjure up your own strength and resolve to deal with it, use the Waxing Crescent. To find a great lawyer, the First Quarter. For an overall boost to have it turn out in your favor, go for the Full Moon. If the divorce is dragging on due to negotiations, scheduling, paperwork and red tape, use the Third Quarter. If you just want it over quickly and done with, use the Waning Crescent. If you're dealing with a particularly nasty divorce with a soon-to-be ex-spouse who is playing dirty, trying to slander you or bringing false accusations against you, etc., utilize the power of the Dark Moon to destroy these efforts and make them backfire on him or her. 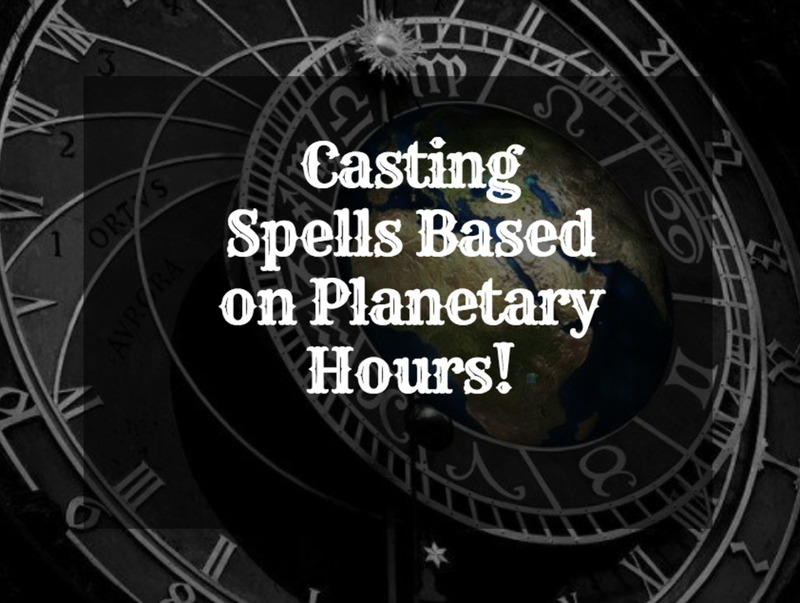 There are other ways to fine tune your spell timing as well; you can also go by planetary hours, days of the week, or the Moon Sign (the astrological sign through which the moon is currently passing). To fine-tune your timing even more, trying using more than one-- the right phase, in the right planetary hour, on the right day of the week in the ideal moon phases would offer a huge boost to your efforts-- if it can happen. Unfortunately, all the elements don't always line up quite so neatly; but the more you can put to your advantage, the better. One final thing to remember: magic isn't an exact science. Like cooking, there are basic techniques to learn, but you should practice, experiment, and adapt them to your own needs and uses. You might discover that certain types of spells are always more effective for you on the First Quarter-- don't worry if me or some other writer recommends doing them on the Third Quarter. Do what works for you. 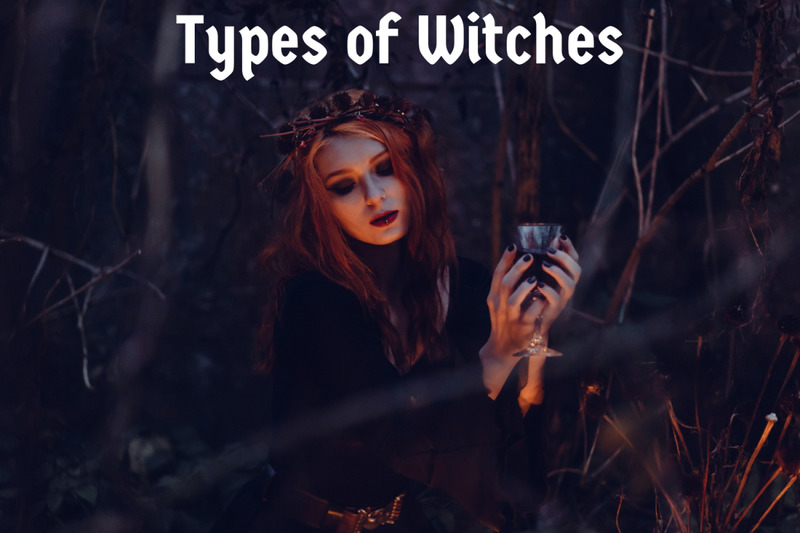 Witchcraft involves a lot of trial and error because no matter what information you can learn about the energies around you and their influences, your own personal energies are always going to bring a new twist to it. It's not about who's wrong and who's right, but finding what works for you. Do you use lunar timing when planning your magical workings? Same as 5 days ago. The question is if you know that the moon will be full at night for example can the spell be done at noon? If doing a money spell that most people say should be done on Thursday around noon and you have a spell that says to do it the day of a waxing noon on Thursday, should you do the spell at noon or at night? Hi, I am from India i am very much interested in witchcraft. i want to become a witch madam, please thought me how to become a witch. Hi Aluneth; a lot of my articles are about helping you with that so please read through, I also give recommendations for good books and websites. But I'm new to this and don't know any spells and don't know how to cast one, can you help me? What if the moon becomes full at 10am? Would the full moon the previous night or the day the moon becomes full. Thank you yes the explanations arw veey clear amd to the point. Thank you for your helpful explanations on moon phases! Do you have any suggestions or advice on lunar eclipse? Born with a kinda 6th sense but I call it intuition. Looking to take my awareness to the next level.Any suggestions? Please allow me into your group of followers. I have a couple of questions about a spell i did during the strawberry moon. Is there anyone out there willing to help me with my questions? Hi there. Thank you for sharing your knowledge here. I am planning a full moon ritual to rid myself of a serious throat and neck illness. Can you offer any suggestions on how best to rid yourself of disease in this way? Thanks again. Hi Bayoubeauty; thanks for your perspective. I have to say though, I 100% disagree... Magic is a natural resource, and it's tapped with the mind, Anyone can do it.... if they are willing to learn, and learn right. The only people I've ever seen become adept in the Craft are the people who work for it. People who don't work at it, no matter how much raw talent they may have, will not get far. The problem with thinking you have some kind of special power or bloodline is it puts your ego in the way of true progress. But thanks for sharing different perspectives. to answer LoneWalker - hi, I'm not the owner of this website, just a solitary witch who stumbled onto this -- but to answer your question of whether you can cast one or two money spells - I would use the waxing phase of the moon to attract money (spell 1) and the waning phase of the moon to decrease poverty/bills/debt (spell 2). Hi there M S W.
I want to know, can I cast two different money spells one at a time for my wallet to gain/attract money to my wallet ? Or should I use only one ? For myself and to enhance the lives of others... particularly my friends. Where can i find info that wont cost me an arm and a leg? According to a spell book a read, the object used to touch the affected part is to be buried on the last quarter moon night. 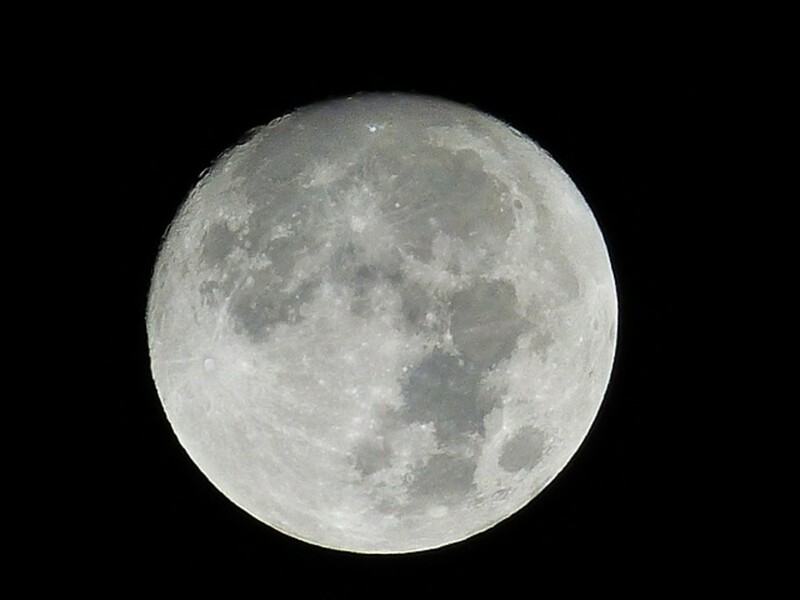 Can you help me to interpret the time for the last quarter moon night. Can you email to me the answer to my request? First I'd like to thank you for sharing your knowledge and insight. I have dropped everything the last month and spent 14 hour days learning horary astrology in an effort to find something incredibly important which has gone missing. It is unclear if it's been stolen or lost. I've followed the signs but have not found my answer nor the envelope lost. I NEED to find this or have it come back to me. I know the moon plays a special and important role in many aspects of our lives and since there will be a supermoon on Sunday, I'm hoping to use its power to locate this item. What do you recommend as the most effective spell to help me achieve the best results? Thank you for your time & I appreciate your help! Magic isn't something you receive from some external force by doing something. There are no short cuts, no powers granted. Magic is something you learn, through study and effort. Nothing can give you 'Full Moon Magic'... though if you learn magic, you may wish to sometimes utilize the energies of the full moon to boost your spells. okay after all that, the question is.... what exactly do i have to do so that i can receive full moon magic. do i have to do go for swimming in the middle of the night for timing the fool moon to do its magic? or should i stay awake outside of the house looking at it when its raising? or what do i have to do exactly? Hi Sha; in most magical systems that I'm familiar with, the day begins at sunrise, and ends just before the following sunrise. So when the sun rises and it's Friday morning, it will remain Friday until the clocks pass midnight and the sun starts to rise the next day (when it turns into Saturday). 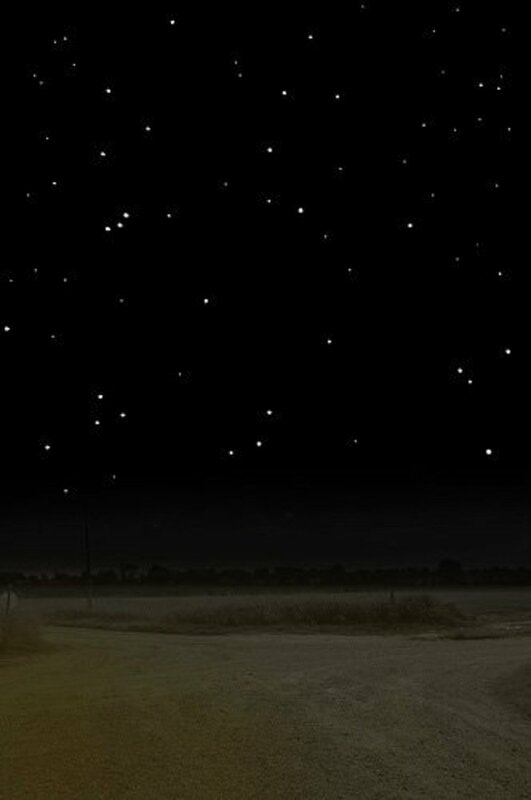 True 'midnight' in Witchcraft is not 12:00 a.m. (that is a myth, thanks to horror stories and rumors, lol). True midnight is the mid-point between the hour of sunset and the hour of sunrise that day. Just like true 'mid-day' isn't 'noon', it's the time between sunrise & sunset (true noon). The hours on the clock are a man-made system, they are useful for our own scheduling but the planets don't go by our system. When Friday is good to spell love works means it wil be fall on Thursday after 12 am or Friday after 12 am...I'm confused with this!! What phase is Wishing Moon? General cleansings can be done at any time; if you have something specific and heavy-duty negativity you need to banish you can do it during the waning moon phases. Likewise, consecration of something can be done at any time. Since you're just blessing/declaring sacred your tool, you don't need to draw any specific energies from the moon, though some people like to perform their consecrations at full moon esbats, or at certain sabbats (like consecrating wands at Midsummer, etc.). thanks Rena; glad my articles have helped. As for time, it would depend on the specific goal... to end something is usually best reserved for the waning moon phases (about the 4th day after the full moon to the dark moon). Some moon signs that might be most appropriate is when the moon is in Scorpio (endings) or Pisces (banishings). Saturday is also a good day for bringing about endings. Phrasing the spell, that's a little trickier without knowing the specifics. Since you're trying to get rid of something it may be tempting to try and phrase it in the negative (for example, "I don't want these confusing emotions anymore"). Try not to do that, as your subconscious doesn't recognize negatives like 'don't', so it registers as 'I want'. Instead, try to phrase it with positive wording: "I banish these confusing feelings that plague me" would be better. Again, there are many possibilities depending on the specifics but I hope that gives you a lead on which direction would be best for you. I'm just getting started and wondering during which phase of the moon is best for cleansing and consecrating my tools? I'm researching as much as I can, and am trying to plan for my first spell to be one to end some confusion I am facing towards feelings. What would be a good way to phrase this spell and when would be an ideal time to cast it? Thank you for your articles, they've really proved useful. Hi Mia; the only thing that really gives you a solid base is your own mental discipline and skill. So if you haven't gotten a good daily meditation regime going yet, start one. And practice-- practice manipulating energy, practice shielding yourself, etc. Gifts are great but only time, work and experience will help to shape them and grow them into something positive and productive. Much luck! This article is great and it got me thinking as I was looking for a full moon spell. I need some advice where to find concise and systematic information to help me to evolve my abilities. I think I have some gift, but I have no control over it. Some mind reading, mostly the closest people to me, and it is beyond circumstantial guess for sure. I see things in my mind sometime just before they happen. My dreams often show what is going to happen (if I can get the symbolism right), some repetitions have showed me the meaning, others I can understand only after the fact. I have noticed that I can feel people's energy (especially if I am not eating much), but again is not consistent or at will. Extremely perceptive and I sense other people feelings. Sometimes I just get information in my mind like I read a sign and I know things that by any logic I should not know. My daughter had an extra ordinary telepathic ability when she was 2-3 years old, too bad it's all lost, and I think it is a sign it runs in the family. I bought bunch of books a while ago, however, some I did not find fitting, some were too dark magic and ritual oriented. I have done number of spells successfully, however sometimes feels that I am shooting in the dark. I do not want mistakenly to cause harm. I am looking for something that will give me more solid base. I have a pressing matter at hand - a love one with cancer I need to heal. I think besides lack of any technical knowledge I might have some healing abilities, hard to explain. I do believe, in this case, I need to first start with myself and get my abilities enhanced first. I would appreciate any references or suggestions. Hi; I suggest stepping back with spells until you have learned to work with energy better. First off, how often do you meditate? You should be on a regular practice (it's better to do 10 minutes per day than it is an hour once per week; consistency is important). I like your work. Your articles helped me to get more info about the craft. I am only 13 and this stuff is all new aND complicated to me, is there any way you can tell me how to use enedgy for spells because I am confused on that subjuct? Christine bright blessings, I wish you and your loved one well. I have a difficult task before me concerning health/cancer regarding a loved one.Thank you for the excellent breakdown of phases so now I can perform magic in the best way to benefit and aid at this moment in time. Hi Delbert; no, you don't have to see the moon to do magic. You can cast spells in the daytime. As long as the moon is in its phase, it doesn't matter if it is visible; those phase energies are there to work with day and night. I migrated into these practices as I felt that the Buddhist tantra prayers I do are magic, so looking for better technique. Question, is it important to do the magic while the moon is visible. I get tired at night, plus the moon comes over very high mountains where I live. Hi thank you so much for your article I thoroughly enjoyed it in it's entirety. I am a newbie witch will be adding this page to my book of shadows! Hi Dalu; no, sorry. Never heard of a teleportation spell in real life that works, nor have I seen anything to suggest it might actually be possible. Real magic works through nature, with the laws of physics, not against them. Hello do you have any advice for a teleportation spell I have been having trouble casting it. do you have any better teleportation spells? Thanks Belinda; I agree, safety is important. I cover candle safety in articles that call for it. "Do no harm" is not part of my religious beliefs; life is a give and take, and sometimes harm is involved. Sometimes harm is for the greater good, in fact. I believe in strongly considering the consequences of one's actions, respecting people's rights, and not doing unnecessary harm, but I believe we have to use moral and ethical reasoning in a situation rather than follow any arbitrary objectives. Great article. I too use the phases of the moon. It is important to keep your working space free of debris and clutter and if using candles make sure they are steady and in a safe container and not near anything flammable. To anyone just starting I'd say be very careful what you ask for and how you ask while being mindful of who it can effect. Magic should not be taken lightly. The moon is to witchcraft like what a pot of espresso is to humans....a rocket launcher. Happy casting to all and remember...Do no harm. I have been a practicing Pagan for many years. Pagan, of course all my life. I am ever learning from other witches. I do not belong to a coven, but I do have Pagan friends with whom to share circle or Sabbots. I often have my 'lay' friends ask for help, magick, (code phrase: "Could you light a candle for me?") etc.. In the spirit of always learning, I thoroughly enjoyed this article. I especially love your use of language (namely, the correct use of language!). I have pasted this into my personal Book of Shadows and have referenced this article, as not to plagiarize! Thank you much for all the wonderful and well-written information. Blessed be! Hi Invincible Spirit; I do believe that everyone has some psychic abilities to an extent. The only way to know the extent of yours is to experiment with them, or improve them by meditation, exercises and practice. Sometimes the thing that gets in the way is not even a lack of practice but a block, so cleansing baths and other such work can be useful. Money for lessons, supplies, etc. are all nice but really just working with it-- meditation, mindfulness, mental discipline, reading/studying (lots of free resources online), taking notes, practicing, etc. is what gets you there... dedication will show improvement. Best of luck! I love the article and its highly informative totally recomendable for new ones like me. But what inspires me to write is Brian night owl exp. I had exactly the same dream where i see the spirit watching over me and saving me to die, it was nearly a death experience and spirit also told me I am looking at you what your doing. This dream I had after my loosing everything in house fire. Thanks to God me and my baby were saved. I had a very strong intutions and literallly pick up energies from other ppl. I did some palm reading in the past which turn out to be true which I stopped doing now and have a very deepest interst in occult and astrology. I sometime feel gush of energy in me and my mood swings goes as per the Moon phase. I see dead peoples in my dream which were known to me specially and that goes without saying i see my deceased parents quiet often its been 7 yrs now. ONE more thing when I see people I start getting to see about them. I DONT know whether I being judgmental or I see there energies.. so confused. I think I need some guide or a guru to show me the right path as I am no good in whatever I am doing. Also I am so stuck in my present situation that had no time to meditate and no money to join any classes for that matter. One phsycic reader told me that I have powers to heal someone and could help people as medium and she also told me that i am in wrong proffession I shud be in helping others theough medium. Still not sure but my loniest time goes into reading these kind of articles and pages. How would I know and what are the signs which confirms that i have physcic abilities? I highly appreciate if anyone can help me. I am not sure if I can leave my mail id here but let me know if anyone is up for help. All planets, give off different waves and these can either be, working with or against each other...technically speaking every hour of the day is assigned a specific planet and archangel(or spirit guide) just as each month etc...everything works in cycles and waves, whether your a physicist or a witch...magick is just as much a science as any other...follow the 'experiment' to the letter and it will work. Brian night owl, thanks for your comment! Yes, some of us are lucky to grow up with people who are in tune to the subtle magical energies of the earth and the spirit world, it makes it so much easier to pursue. Hi Baby Olayon; I don't do astrological charts for people, but when I plan new endeavors like moving, I try to work with the moon phase. Packing up and closing up the old place at the end of the moon phase/dark moon and unpacking/moving in during the new moon phase would be ideal for me. As it's not always possible to get exact timing by moon, I'd look for when the moon sign was in Taurus, which is good for things relating to material matters, the home, and projects that will require slow-but-steady long-term energy. Moon in Cancer would also be good, due to it being a good time for all things family-oriented. If moon phases and signs fail, there's always planetary hours that you could put to work for you. Good luck! My mother had the gift, my sister had the gift. 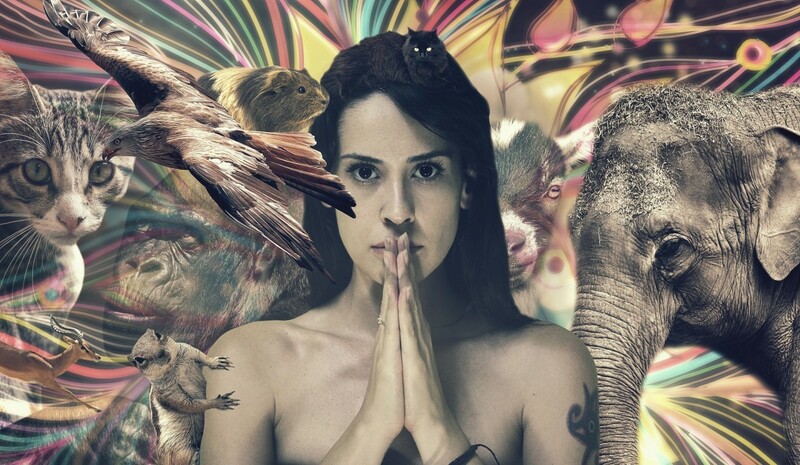 I have the gift, I have always read palms,tea leaves, had second sight and have in the past used my powers casting some powerful elemental spells. I have seen spirits that have visited me and also had a near death experience where I had a inner body experience and a spirit told me to stay calm or I would die. Finding a site that gives very good basic information has helped me move forward and accept that I am different. Thank you. Hi im new to this hub...its fun here. Pls advice which moon phase best suited for moving in to ur new house. we plan this month, july. My birthday is july 4, 1966. My husband is Oct 13, 1964. Sorry honey, but I can't help you with any spells involving death or harm. I do think you should look into justice and protection spells, while also taking the logical legal channels that are available (police, restraining orders, court, etc.) and social services (shelters, etc.) to get help. Hi Grand Old Lady! Thanks so much, I'm glad you found something interesting to learn. Wicca & Witchcraft are actually 2 different things that can go hand in hand, or be mutually exclusive. Wicca is a religion-- which may or may not include the practice of Witchcraft (it's allowed; not required). So not all Wiccans cast spells-- people are Wiccan for the same reasons someone is drawn to any other religion: faith, spirituality, beliefs. Witchcraft is a spiritual art, a person need not be Wiccan to learn it. People take up the practice for various reasons. I appreciate your comment! This is quite interesting. I'm not really into Wiccan but am willing to learn why others are into it. Wishing you well, and have a great day. Thanks a lot TurtleDog, I appreciate your comments and your votes. I think you'll find most of my hubs are way out of the mainstream posts, lol. Have a great day! Thank you Nadine May, I'm very appreciative of your comments. I'm glad you could learn something interesting from my hubs. Have a great weekend! Thanks VVanNess, I'm glad you find my hubs informative. I appreciate you stopping by. Thanks so much! I'm glad you could find it useful. I've always been in favor of working with the phases of the moon. Every little bit helps. I'm always learning something new. Very thought provoking. Very interesting. I always learn something new and unique when reading your articles! Great job!